Curious to see how we make our products here at Vrisi 36? The Vrisi 36 line was made with a passion for pure, "better for you" food. Try our extra virgin olive oils, balsamic vinegars and Mediterranean mustards for yourself — you'll see and taste the Greek difference! Catch up with the latest from Vrisi 36 and Flying Olive Farms! We're constantly updating our blog with up-to-date information on our growing product line and the olive oil industry as a whole. Vrisi 36 began with a vision to bring 100% Greek goodness to every table across America. Through partnerships with local Greek farmers, we’ve found a way to source, create and craft the perfect “better for you” foods from Greece with flavors that will delight your senses. Today, we’re proud to offer a complete line of flavorful olive oils, balsamic vinegars and Mediterranean mustards, all locally picked, pressed and packed in Greece, available at stores across the United States. To purchase, or for sales and distribution information, contact us today. At Vrisi 36, we take pride in taking complete ownership of our products. That’s why our olive oil isn’t commodity driven. 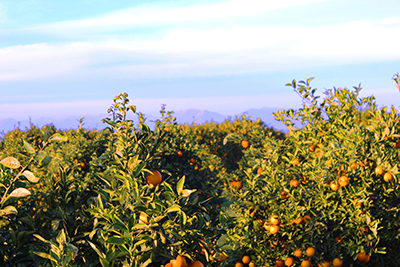 We know exactly where our EVOO comes from because we manage the entire supply chain, from farm to bottle. This ensures a genuine, all-natural, proper tasting product each and every time — it’s the only way we know how to do what we do. All Vrisi 36 products get their start in a small farming community in Greece called Glykovrisi. Glykovrisi, which means “sweet running water,” has truly created an oasis for farmers, producing an overflow of lush vegetation — including our very own olive trees. All of the olives used in the Vrisi 36 line are picked straight from trees grown on Glykovrisi land, cold fresh pressed in local pressing houses and packed at the source, all within 24 hours. This keeps our olive oil as pure, authentic and flavorful as possible — no refining, blending or filtration needed. We’re born this way! Flying Olive Farms’ Vrisi 36 line offers authentically Greek olive oil, balsamic vinegar and Mediterranean mustard. Contact us for more information, and be sure to take a look at our blog and recipe collection! © 2019 Vrisi 36. All rights reserved.